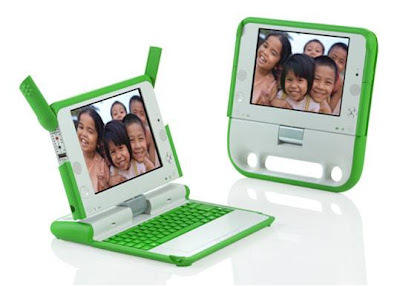 Betty Crocker Fruit Flavored Snacks is proud to partner with One Laptop Per Child - a Non-Profit Organization working to provide all children in developing countries with personal laptops. Now through May 31, 2011, Betty Crocker will be donating $1 for every coupon that is redeemed for their Fruit Flavored Snacks to One Laptop Per Child! become connected to each other, to the world and to a brighter future. A real world laptop for real world change. The XO laptop was designed collaboratively by experts from academia and industry to combine innovations in technology and learning. We considered the need to weather extreme environmental conditions such as high heat and humidity, and to support easy field repair by children and local language support. 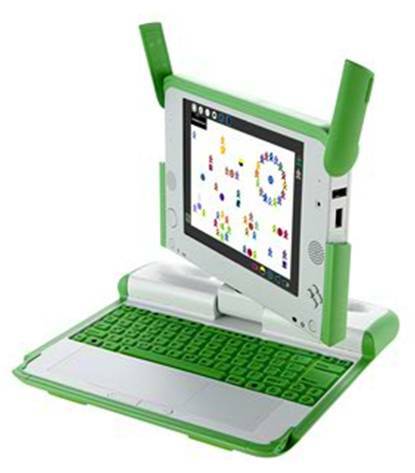 As a result, the XO laptop is durable, functional, energy-efficient, responsive, and fun. The XO Laptop has GB of RAM, 4GB of Flash storage (upgradable to 32GB). The XO is about the size of a textbook and lighter than a lunchbox. Thanks to its flexible design and “transformer” hinge, the laptop easily assumes any of several configurations: standard laptop use, e-book reading, and gaming.It has rounded edges, an integrated kid-sized handle, and a sealed, rubber-membrane keyboard. One Lucky Reader will receive an XO Laptop and Betty Crocker Fruit Snacks Prize Pack (Pictured Above). One Laptop will ALSO be Donated to a child in need! Leave a comment~ How do you / have you helped someone in need / given back to the community? The comment is considered your entry. 1)Follow me ( or if you follow ) on Twitter http://twitter.com/savvycouponmom (Additional 5 Entries- 5 comments ). Entry to this giveaway ends at 12pm PST April 25, 2011. Winner's are chosen randomly through random.org. Winner's may not have won a previous Enjoy Lighting Giveaway. The winner will be announced in a post within 7 days of the giveaway ending, and contacted through email. The winner will have 48 hrs. to respond or another winner will be chosen. I adopt abandoned and abused cats. I will go out of my way to find homes for as many as I can. I will take the cats to people even in a different city. From the time I was a little girl, my mother has always taught me to be charitable and help others who are less fortunate. My mother grew up very poor in South America. So when I was a child, we would volunteer at our church’s soup kitchen, lend our time to an organization that helps people with Down’s Syndrome (we had an annual festival and my mother would help the people off the buses and I would help out with the carnival games), and at one time we even volunteered our weekends at the local courthouse to be present during supervised visits between divorced fathers and their kids. My mother would be the court supervisor (unpaid) and I would try to play with the kids to make light of a difficult situation. We also visited strangers in nursing homes and drove cancer patients we didn’t know to chemotherapy. My mother has always volunteered her time, and recently she was volunteering at a hospital until her back problems prevented her from doing so. 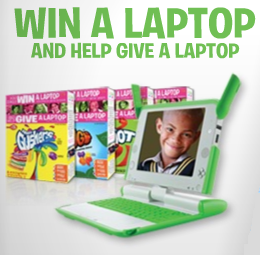 I would like to win this laptop for her. Her computer is very old and she really needs a brand new laptop. She would really appreciate the meaning behind this, too. I entered your Plow & Hearth giveaway. I entered your Tangled giveaway. I entered your Happy Easter Store giveaway. I follow you on GFC. We help people in our community by helping our neighbors shovel during the winter. I donate to my local food bank, animal shelter and we donate to the local women's shelter. We also volunteer with Habitat for Humanity. I always donate my families old clothing and shoes to a local charity organization that gives them to those in need. We always donate the clothes and toys my kids outgrow and what we outgrow also to a local thrift store (D.A.V) and with the money they get they help out local veterans and all around Iowa as well, so it's pretty nice.